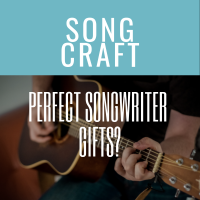 Home » Song Craft » Perfect Songwriter Gifts? 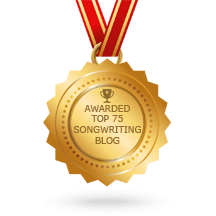 Looking for the perfect songwriter gifts? Not sure what they need, what they want or even what they’re talking about if they do mention anything? Well, here’s a list of things every songwriter can use, and even if they already have it, they’ll thank you for an extra! Remember, gifts for songwriters can range from the writing process and recording work tapes to on-stage needs like iPad holders, mic stands, and capos. Be the friend who knows their friend with any these great songwriter gifts. 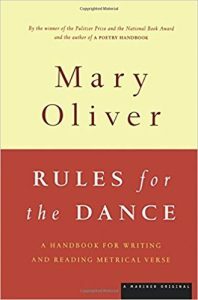 Great read if you occasionally feel uninspired, or you’re not quick sure which step to take next. Judy Stakee helped rediscover and shape the careers of Sheryl Crow, Katy Perry, Gavin Degraw, Joy Williams and more. Portable, always working, and full of interesting words that far surpasses anything online, a rhyming dictionary is a key piece of equipment. And this one is the best. This is used by some of the best songwriters in the business. Also gives you some great tips on poetic use and rhyme patterns. This Thesaurus works with the rhyming dictionary to give a songwriter the full array of word opportunities to make songs interesting! 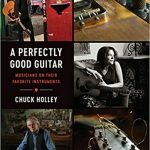 If you love your guitar, you’ll love this book. Revealing stories about their most beloved guitars from a host of songwriters and performers. A number of Texas musicians and singer-songwriters are featured in the book. This book is a terrific way to learn about poetic language, rhyme, how meter works from one of the U.S.’s greatest poets. These are essential songwriting concepts needed to excel at song craft, but are often the last to be learned by songwriters. Your songwriting friend will thank you! This is my “go to” recording microphone. It’s small, has tremendous sound pick up and is one of the handiest I’ve ever found. The carrying case and stand make it very flexible. I use this with my iPad Mini to make work tapes and have used it as an instrument and vocal mic for recording. Great value for the money. This is an all inclusive device – it has a microphone and an interface to an iPad, allowing you to just plug in, sing your song without recording two tracks and you’re set. 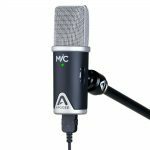 If you want to record your instrument and vocals separately, you can do that as well! This one is great for just putting on a mic stand and letting it rip. If you already have a microphone and want something that will give you a little higher quality, you may just want to go with the interface. This one doesn’t include a microphone, so if you have a mic used for playing out, like a Shure SM58, just plug it in and record. You can also go direct with a guitar. A lightning cable connects to an iPad so you can record directly into Garage Band. Playing out? Then having something to hold a tablet to the mic stand is always handy. This one is secure, not too many clunky parts, and easy in and out for the device. No one likes to get caught with a straight mic stand with no boom arm when they’re playing guitar. Talk about a cramped space! Make sure your songwriting friend has one of their own to bring on stage! These microphones are perfect to have in your gig bag. They’re well made, durable and sound great. You can literally run over it with a car and it keeps on ticking! This one works with either the regular iPad or a mini. It comes with clips for each and is simple to adjust – spin as well as tilt of the screen. The attachment device makes it easy to get it on and off the mic stand. Looking for something that’s portable and sturdy for those songwriting workshops or co-writes when space is limited? The K&M acoustic guitar stand is the perfect solution. Folds to fit in a back pack. There’s nothing worse than a cheap instrument cable to ruin the sound of a guitar you invested in – because it sounds great! Mogami cables are definitely worth the investment. Silent handling of your guitar signal insures people hear what you paid for, not added noise. Who doesn’t need an extra capo? And this is one of the most used songwriter gifts you can ever give. These are some of my favorites, all work great, and sometimes you just need a little variety! I LOVE this capo! If you play a Gibson or Martin it’s perfect: you rarely have to re-tune or jigger with it once you’ve put it on the neck. It’s also heavy and feels sturdy. 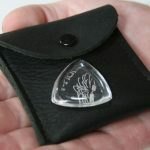 This is a great one for any guitar player to have in their bag. This one is just fun! Also heavy and a solid capo it works great and looks awesome on the neck. Practical and a novelty – so the best of both worlds! You can’t go wrong with a Shubb. This brass version has the traditional tightening mechanism, which I prefer. I’ve been using the same one for 15 years and it’s never let me down. I use this for alternate tunings on guitar since it’s a little shorter than the standard Shubb. It’s perfect for the “4th fret – reverse capo and leave the 6th string (thickest E string) open” trick. Quick and handy sound alternative. This one is pretty standard and one you’ll see songwriters using often. It’s handy for a quick on-and-off grip to move the capo around the neck. This capo stores behind the nut, so is always available. No rummaging around to find a capo for your next song. No buzz! I use both of these – and keep about four of the DeltaLabs around in cases just in case. Tuners are one of the most overlooked items when people are shopping for songwriter gifts. Be a hero! You can usually find this at Guitar Center on sale for about 50% off ($5.99) during the holidays! Best thing about this tuner is that it swivels, so you can position it however you would like on the headstock. It also has a metronome mode, flat tuning and MHz adjustment. Pretty fancy for $13! A little more expensive, with this one you can tune all 6 strings at the same time. Just strum and it shows you which string is out of tune. You can also go string by string. It has chromatic and strobe modes, flat and capo tuning all on a headstock clip. Wind tuner keys, pull bridge pins and cut the strings – this one has it all. I have a couple of these so one stays at home and one goes in the case of the guitar I’m playing out. That’s right – there’s a power tool for that! This one is handy to keep in a drawer and makes the tedious unwinding and winding part of the job pretty quick. Songwriter gifts don’t have to be techy all the time! This notebook actually allows you to take a photo of the page with your smartphone and the app recognizes the content for search purposes. Pretty cool twist on a notebook! I use it to keep a hard and digital copy of my songwriting notebook with no extra work! There nothing wrong with old school either. 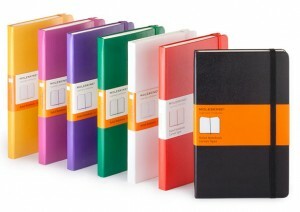 And, because songwriters always need a notebook, so these never go unused. The elastic strap is handy for keeping extra items stuffed inside like photos or napkins. This fits perfectly into a guitar case and will hold a pretty good number of picks. I use thumb picks, and they fit fine. I have 3 of them: one for “playing out,” one for my writing room, and one in my back pack with extra picks for songwriters who usually forget theirs!